The Polish Jinx: Julep Maven Secret Store - January 2013 Edition! 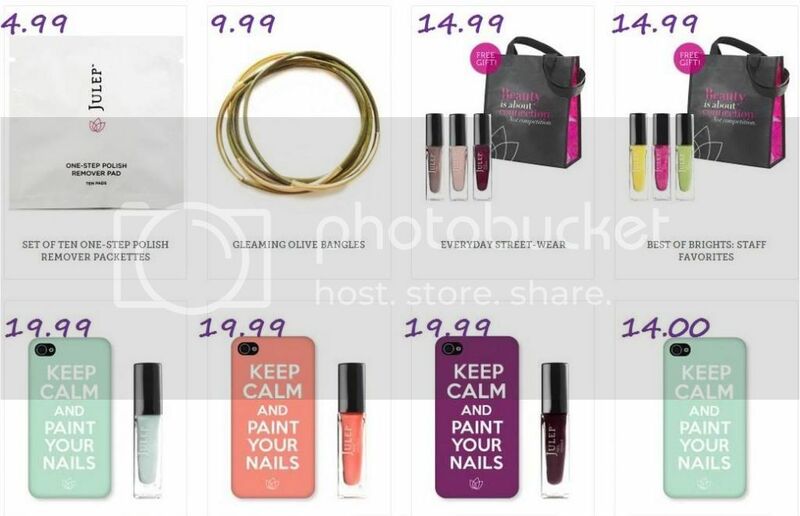 Julep Maven Secret Store - January 2013 Edition! The Outcome Of My Blogger Post! 70% Off Professional Makeup Brushes? Swatches Of The Urban Decay Oz Inspired Palettes! Which Bloggers Do You Read? Deborah Lippmann Girls Polish Set - Swatches! Julep February Preview - I Want ALL The Colours! Get Your Free Julep Polish! China Glaze Glitz Collection - All Swatched! Julep Oxygen Nail Treatment - What Is It? Julep BOGO Is AMAZING This Time! China Glaze Glitz Bitz N Pieces Are Out!!! The Sweetie Shop is OPEN!! Julep New Years Mystery Box!